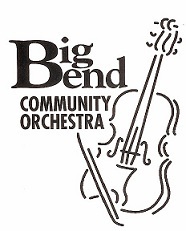 The Big Bend Community Orchestra, founded by retired music professor/performer/conductor Waldie Anderson and retired music educator Ginny Densmore, met for its first rehearsal on February 10, 1994. The BBCO, an all volunteer organization, steadily grew and improved during the first ten years under the direction of Waldie Anderson and during the tenure of Dr. James Croft, former Director of Bands at Florida State Univeristy. The BBCO is now conducted by Music Director Dr. Shelby Chipman, Assistant Director of Bands at Florida A & M University, and Associate Music Director Edward Kawakami. The orchestra consists of more than fifty musicians of all ages from many walks of life including retirees, business leaders, professionals, homemakers, music teachers, and students. 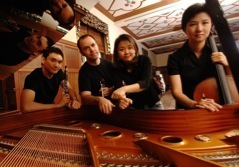 enhakē (in-HA-kee) is an emerging classical chamber ensemble comprised of members from South Korea and the United States. Drawing its name from the Seminole (Creek) word for sound or call, enhakē is committed to bringing sublime chamber music to its audience with a sincere respect and love for the score. Their distinctive instrumentation (clarinet-cello-violin-piano) allows them the flexibility to perform repertoire from Baroque, Classical, and Romantic eras to the most captivating contemporary works. The Tallahassee Bach Parley performs the music of the Baroque era, using period instruments to closely replicate the way the music would have been performed hundreds of years ago. The Bach Parley has a three-concert season, with concerts held on Sunday afternoons at various venues. Commentary is provided before each piece to give the audience ideas about what to listen for in the music and to make the atmosphere more relaxed. All concerts are free and open to the public (there is a suggested donation for guest artist concerts), and free childcare is available. Established in 1986, the Tallahassee Civic Chorale is a nonprofit, non-audition community chourus consisting of 50 to 60 singers, organized in traditional choral fashion under the direction of Leslie Hefner. The Chorale is open to anyone in the Big Bend community including Tallahassee Community College students. The Tallahassee Community Chorus is a nonauditioned group that draws members from all walks of life and musical ability in the Big Bend community. Many professional musicians also become chorus members for nowhere else in the community can a choral performer have the opportunity to sing with the musical genius of Dr. Andre Thomas, our present Musical Director, local symphony conductors, and especially the renowned choral conductor, Robert Shaw. The Tallahassee Swing Band is an institution in the North Florida area. Based out of Tallahassee, the band has held down its weekly Tuesday gig at the American Legion since 1989! Available for hire, the band has experience playing weddings, anniversaries, birthdays, etc. and always adds the right touch to every event. Playing primarily swing but also throwing in rock-n-roll, tangos, bossa novas, and polkas, the band can cover all the bases. The Tallahassee Symphony Orchestra is a professional symphony orchestra that presents four classical concerts, an American Celebration and Holiday Magic concert, and one Young People’s Concert per season for the Tallahassee community and surrounding areas. 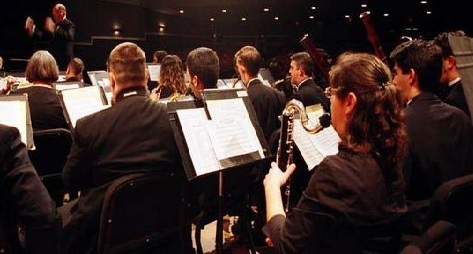 The TSO is composed of numerous orchestra members from a variety of backgrounds, including professional musicians from the community, faculty from the College of Music at Florida State University, and graduate students from the University. Founded in 1997, the one-hundred member Tallahassee Winds performs four formal concerts during its regular season. The “season” begins in September and extends to May. The band holds four rehearsals, on Tuesday evenings, plus a dress rehearsal, in preparation for each formal concert. Guest conductors and soloists are frequently presented. 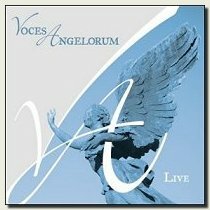 In the Fall of 2000, Charles Witmer founded Voces Angelorum, an auditioned, volunteer women's chorus, to give church choir members throughout the Tallahassee metro area the opportunity to perform challenging choral music of excellence. Let us know about your local ensemble!